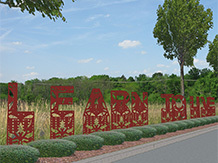 This concept uses aphorisms, phrases relating to general truths in daily life, spelled by six-foot tall cut-metal patterned weathering steel panels along the six medians of Tezel Road between Timber Path and Guilbeau Road. This patterning concept derives its inspiration from the native milkweed’s five-pointed star-shaped flower, referencing the Texas Star, and connecting to the migration pathway of the monarch butterfly, which uses the plant in its lifecycle. 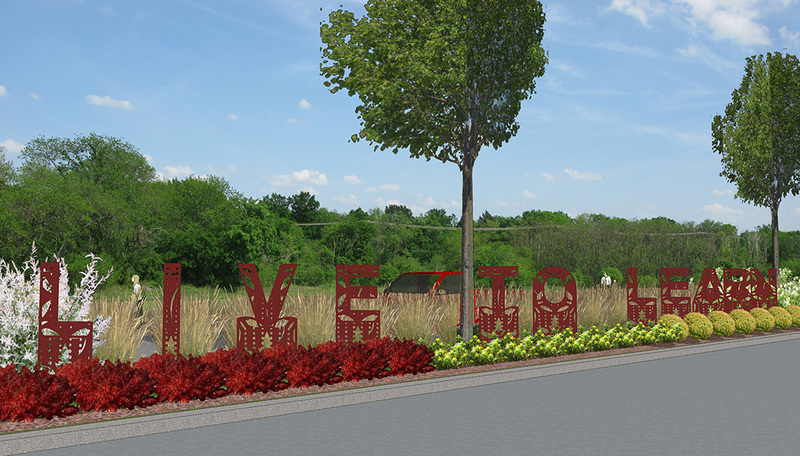 The planting plan will include milkweed as habitat. The words are sited and angled at 45° to be read in the direction of traffic and to fit into the landscape. The aphorisms are read by those driving by the medians, activating this stretch of Tezel Road. 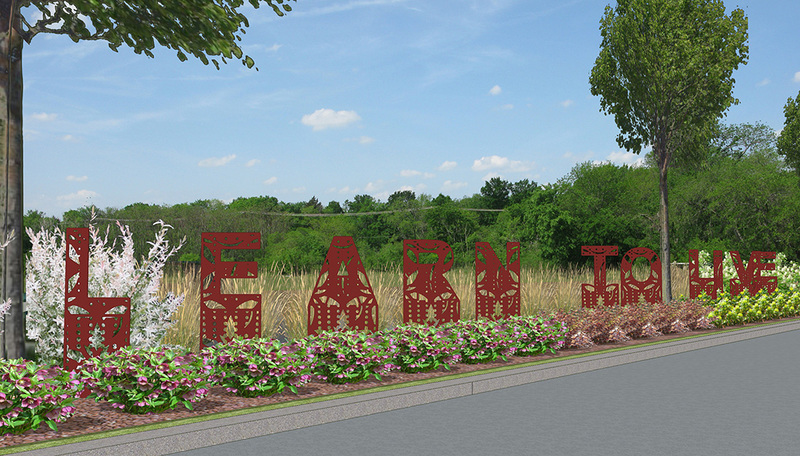 Traveling in the opposite direction, the tops of the letters appear over the plants as abstract sculptures. The weathering steel panels fit amongst the trees with low plants in front and tall plants arcing behind. The aphorism phrases on each median playfully flip words to add levels of meaning for those traveling both ways on Tezel Road. Community Love – Love Community, Learn to Live – Live to Learn, Love to Live – Live to Love, Nature Nurture – Nurture Nature, Be Just – Just Be, Find Good – Good Find.